Michael Kors has launched Extreme Rush, a new woody aromatic fragrance for men. 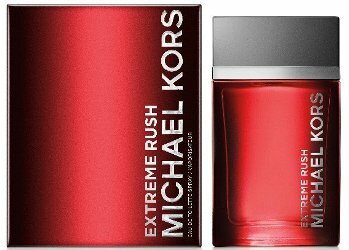 Extreme Rush is a flanker to 2014's Michael Kors for Men, and follows 2018's Extreme Speed. Exhilarating. Bold. Dynamic. Introducing Michael Kors Extreme Rush, the new men’s fragrance for the modern thrill-seeker who dares the impossible—and chases the extreme. Exciting and sleek, it captures the thrill of adrenaline. The masculine scent ignites the senses with an exhilarating opening blend of Juniper, Bergamot and Blood Orange that is fused with aromatics at the heart and finished with Musk.